There are many special foods in the Northeast (Isan) area of Thailand. Having lived there for over 6 years I had opportunity to eat many of them. Gaeng Khai mot dang,แกงไข่มดแดง is a curry made from red ant eggs. 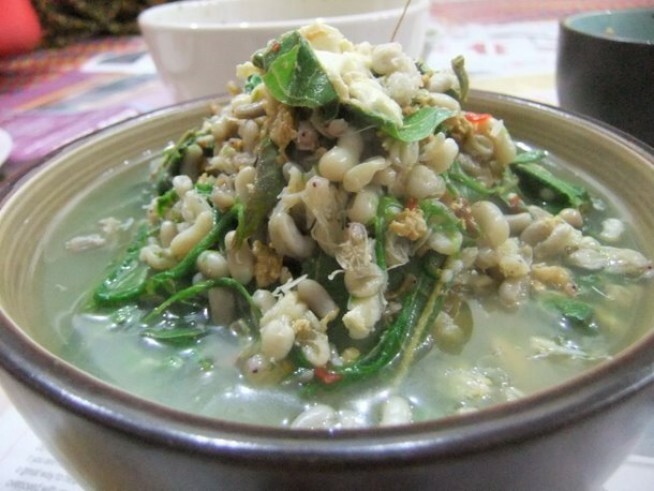 It also has wings of bees, ants and white egg larvae but all cooked with a pungent green vegetable which has small thorns that, if you are not careful, poke inside your mouth! I really enjoy this specialty for lunch with rice. Another plate would have LAAB-ลาบ which can be made mostly with pork, is ground with mint and ground roasted rice and spicy! ข้าวซอย Khao soi, is a lovely lunch noodle soup from North/ Chiang Mai areaอาหารเหนือ which has a Burmese influence in the flavour. 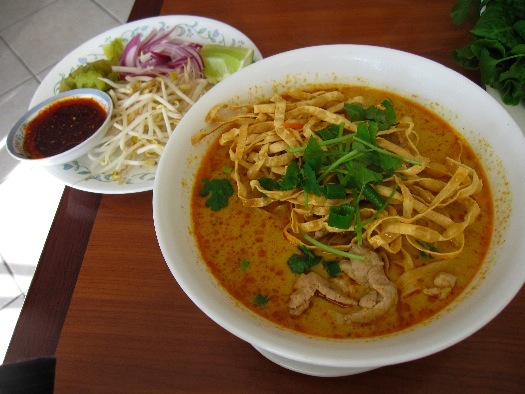 The soup base resembles a curry, with a smoky and earthy taste. "kiat" is a bunch of baby frogs which are grilled between a split piece of wood. 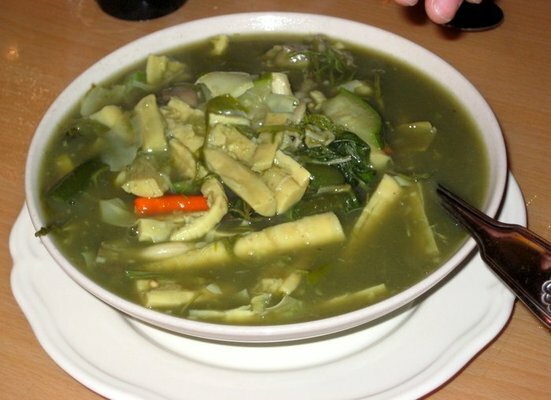 แกงหน่อไม้ is a spicy bamboo shoot curry which has a very strong taste which is quintessential to the Isan area. One of the ultimate food experiences which can be found probably anywhere in Thailand is a lovely compact dish HAWMOK PLA ห่อหมกปลา Hawmok talay which is wrapped in a banana leaf boat , which has steamed fish with coconut milk and kaffir leaf for taste- spicy and lovely! 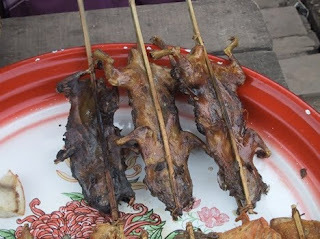 I went to visit a market in Lao, but also saw it in markets in Ubon as well as in Nong Khai this unique local plate หนูแห้งทอด, dried and fried rat! Not the rat which is found in your rubbish bin but a rat from a clean rice field. My friend made it very spicy! 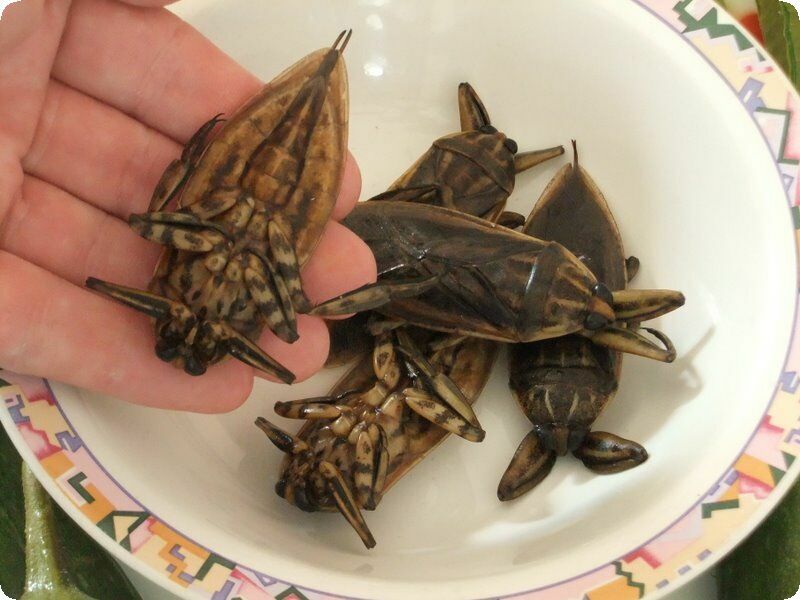 Other snacks which I enjoy eating from the market are: ตั๊กแตนทอด fried grasshoppers which are delicious! Wrapped in a cone made of newspaper laced with black pepper! Be careful when eating the grasshopper as the small thorn on the grasshopper's leg gets caught on your lip as you try to eat it quickly! 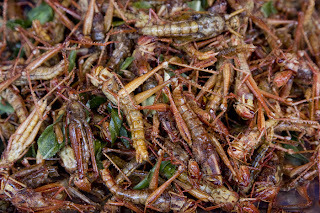 ดักแด้ทอด fried worms are fun to eat, and finally, I really like a nam prik น้ำพริก which is made with an insect "maangda". It is a strangely sweet and spicy น้ำ พริก. In slang, this maangda insect is used to name a lazy husband. 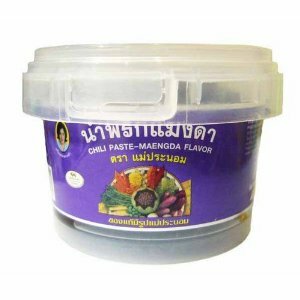 Many of these commercial น้ำพริก have artificial maangda flavouring unfortunately. 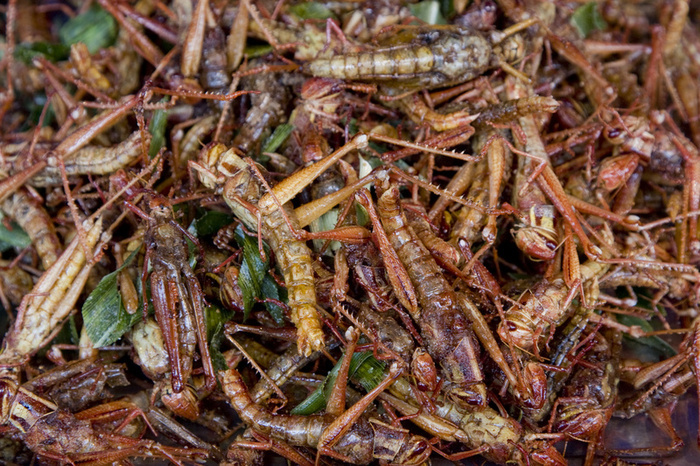 How could someone want to make a mass produced, commercial artificial flavouring of AN INSECT?